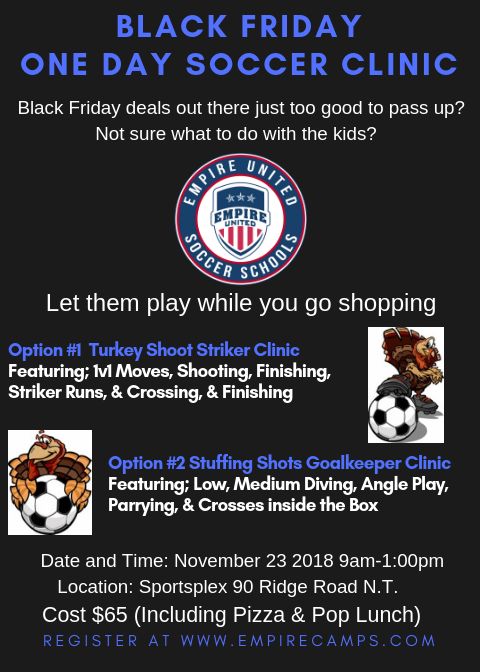 Join us at Empire United on your days off from school! 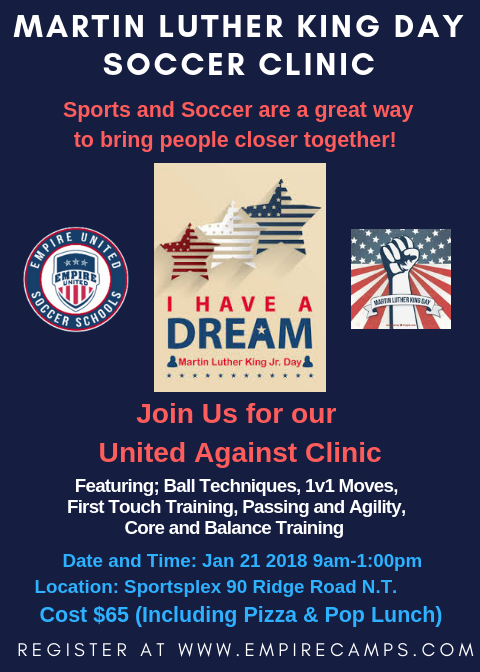 All of our One Day Clinics are for boys and girls, u9-u15 and will be held at Sportsplex Indoor Soccer Center (90 Ridge road North Tonawanda, NY 14120). Clinics run from 9am-1pm and are $65 per player which includes pizza and pop Lunch. 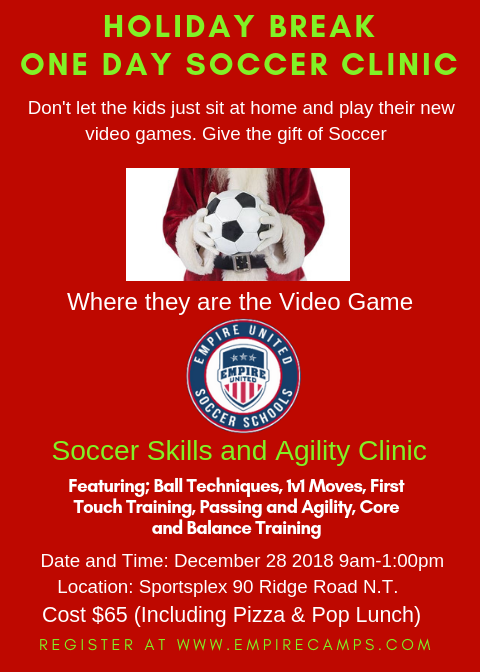 Click any flyer below for registration and additional information!